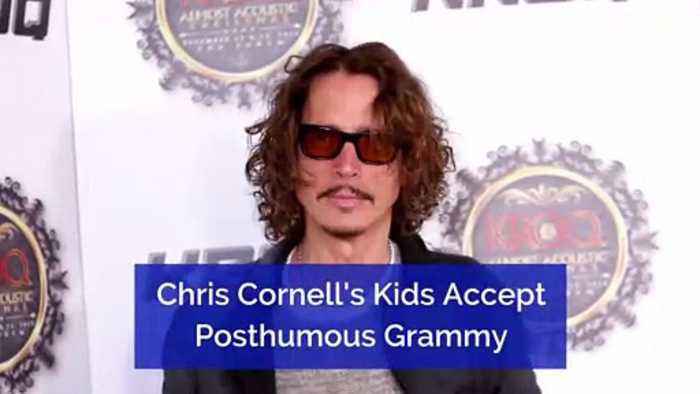 Chris Cornell's Kids Accept Posthumous Grammy Cornell, who died in 2017, won a posthumous Grammy for best rock performance for the song, "When Bad Does Good." His children, Toni and Christopher, accepted the award on his behalf. Toni Cornell, at the Grammys Christopher Cornell, at the Grammys Toni and Christopher were joined by their mother, Vicky Karayiannis, on the red carpet prior to the event. Karayiannis tweeted, "Chris would be so proud," following his nomination last September. The award marks Cornell's third Grammy out of 16 nominations over the course of his career.